What if you could hide your screencasting app as you record? What about having an option to ide recorded videos? Do not wish again as Hidden Screen Recorder is capable of giving you all these features. This app will enable you to record your Android device screen to HD and Full HD videos without the need for root privileges. Better yet, you have an option to hide the app so that you can record everything on the screen without any intruding overlays. This app can be downloaded free from the Google Play Store but be ready for lots of ads when you use the app while connected to the internet. Something I did not like is the availability of full-screen ads that are annoyingly intrusive. 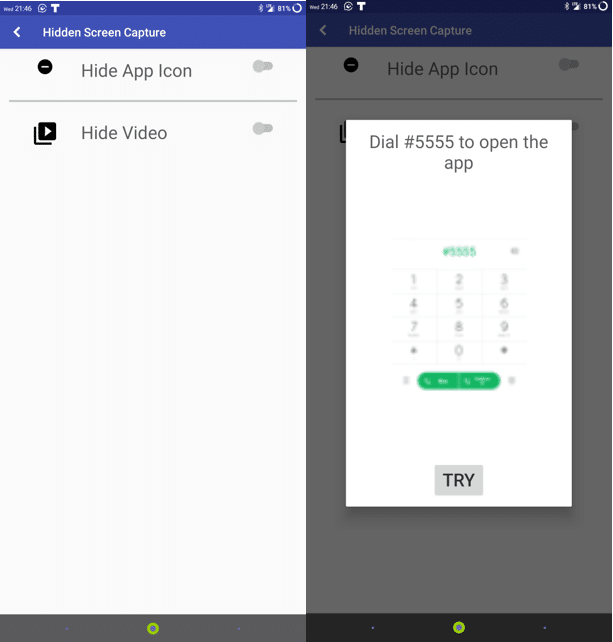 By hiding the app icon, this app will let you capture your screen as you use the phone normally or record someone else activities on your phone without them knowing. This is a handy feature like for instance when you want to know what someone accesses on your phone when you are not around. We will now look at the other features in this review article to learn more about what can be achieved with this app. By default, this app will launch into the video list tab from where you can access previous screencasts if any are available. It is here that you will be able to view, share, delete and even convert the videos as animated GIFs. Optionally, the recorded videos can be accessed from the default gallery and use external video editors if need be. The next tab is the settings tab that comes with various options to tinker with in order to obtain the best screen record. A button to quickly start recording is at the bottom of the app. Once you begin the screencast, you will have to manage the pausing and stopping of the recording from the notification bar. This brings as to the video options that are provided to you by Hidden Screen Recorder. For the screen capture, several resolutions, frame rates, and bitrates are provided to choose from in order to meet the video quality requirements that you need. Resolutions range from 360×640, 720×1280, 1080×1920 and 1440×2560. You can choose frame rate ranging from 25-60fps while bitrate ranges from 1-12Mbps. With these options, you should have no excuse for the viewers when delivering low video quality content. Everything to produce the best quality are available at your fingertips. Will I be able to capture audio with Hidden Screen Recorder? Of course yes! In the case where you are making tutorials, walkthroughs, promotional content, recording a video call or gameplay, this Android app is able to record audio from the microphone and automatically mixes it with the recording video. Achieving this is very easy and convenient when doing it with this app. One more reason to have this app as your go-to screencasting app for the Android OS. We had hinted earlier of the ability of this app to hide videos and app icon. How do you access after hiding? You must have asked yourself this question. This app comes with a feature where once hidden, you will be able to launch it from the phone dialer by dialing #5555 and hitting the call button. Immediately you hit the call button, Hidden Screen Recorder will be restored instantly from the background. When you hide this app, it actually continues running in the background waiting for you to trigger its restore from the dial code. By being able to run in the background, this app enables you to continue recording the screen even when the screen is off. This is different from other similar apps which will stop recording immediately the screen goes off. Therefore, this app rules here when it comes to background screen recording. Isn’t this an amazing feature worth going after? this app has no time limit at all when it comes to recording length. You will be able to record lengthy videos as much as your storage capacity can hold. We have all come across screen recording apps that place a manufacturer watermark in screen records especially when using free versions and you can only get rid of them by purchasing the premium version. With Hidden Screen Recorder, this is very different since there is no watermark at all. You are free to have a clean recording mode without an overlaying watermark that does not match your content. Another handy feature that comes with this app is the ability to detect memory usage on your Android device. Instead of you being caught unawares by the unavailability of enough memory, this app will warn you early enough when you are running low on memory for your recording tasks. I must say this is a feature I would love to make sure I do not have to cut short my recordings without expecting. 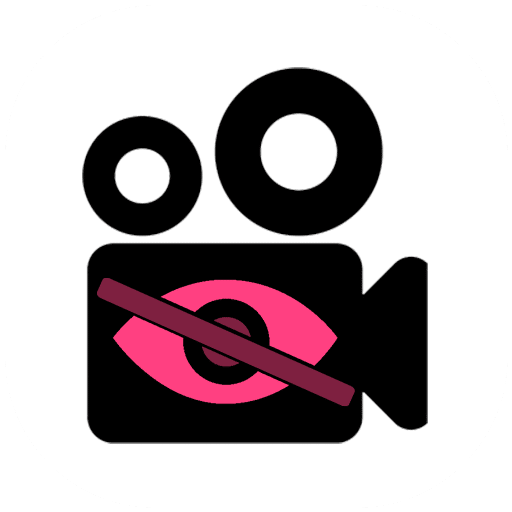 Once you are done recording, Hidden Screen Recorder will list the recording in the video tab from where you will be able to share to any platform of choice. A refresh button is available in case you do not find a recently recorded video. You can choose to upload the video on YouTube after which you get a shareable link or share to social media apps like Facebook and Instagram. Hidden Screen Recorder is pretty powerful when it comes to being invisible and that makes it one of a kind. Except for the many ads of which some of them become very intrusive, this is a great app as seen in this review. You can avoid the ads by recording the screen offline for tasks that do not require the internet. 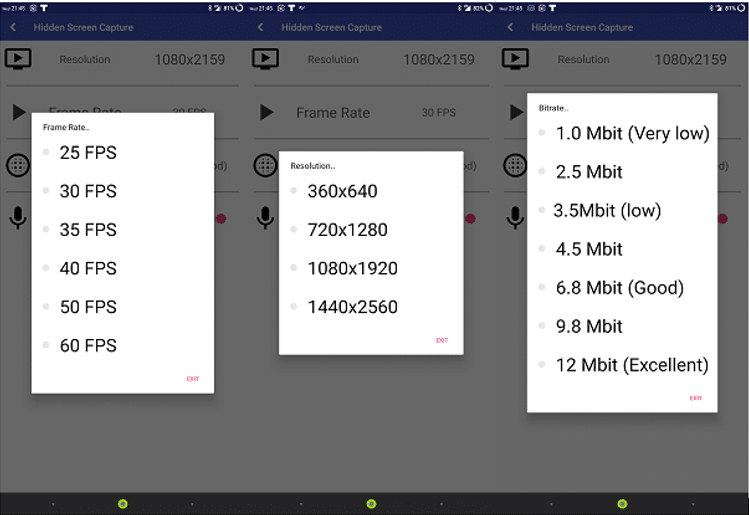 This app will get you started with your full-screen video capture at the best resolution possible to deliver content to the viewer confidently. Do you agree with me?